Nintendo's excessively adorable Wii game Kirby's Epic Yarn provides the latest contribution to America's version of Club Nintendo, two pairs of patches that will embroider their way into your heart. 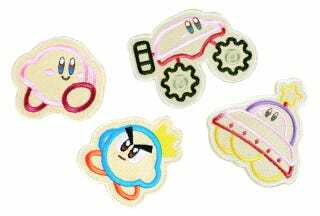 Visitors to E3 2010 may already have some of these coveted Kirby patches, but Club Nintendo members can swap "coins" for them if they need more preciousness in their lives. They're 350 coins each and join Super Mario Bros. terrycloth towels and New Super Mario Bros. Wii-themed Wii Remote wrist straps as some of the latest goods Nintendo fans can get in exchange for their loyalty. Thanks to Jon for the heads up!